This is Lord Sananda speaking. It is a pleasure once again to be here for the Cosmic Oneness as the spokes-being for the Christ Consciousness. We are in the time of being integrated with the actualization of what has happened during the Wesak energies. It is not just about Wesak, it is about the full moon and the movement of higher frequencies into your physical being which allows this actualization to be fully within you. I am honored to be able to speak for Meleriessee, and I am honored to be part of your lives individually, more so than I ever have been before. There have been many moments of remembrance occurring for each of you and this evening we want to help you with that. Some of you have had a very trying time with your initiations; some of you it has gone a little bit easier. What we want to do this evening is bring in the acceptance of what is occurring fully realizing within your physical existence that the frequency that you are bringing forth within you is the complete totality of your soul’s remembrance. Within this remembrance you are allowing yourself to be fully activated in a way that you have not been previously. Some of you are being challenged in many different ways and they are only to make you stand stronger in the presence of these frequencies and within the presence of what is going to be occurring around you. The duality of this Earthplane is struggling for its survival and within that phase it can cause great changes. It is imperative that each of us understand as being on this mastership pathway that the elements occurring within you are being acquired in a different manner than you have ever realized physically. This is the beauty of it as each of you are understanding yourselves in a different capacity than you were previously. It is a powerful time but it is also a very trying time because you’re responsibility is going to be tested. Within that responsibility you are going to see that you need to stand up to this duality. At times it may feel like it is being thrown in your face and this is the responsibility to your inner self of being able to fully understand the higher frequency, the higher presence, the higher purpose of what you are experiencing in each given moment. This is the ability to fully actualize the depth of your knowledge that is being acquired. And each of you here this evening, or listening or reading; we include each of those different venues because some that are not on the call are part of this circle of light that you are creating. Bring forth those energies in the development of your accessibility in a different way than you have ever acquired. The challenges that are occurring for you are remembrances of your past, not the past of the present life, but the past of your Lemurian and Alantaean lives as these are the ones that are going to come to the forefront as you are the pioneers moving into the new world. You are the ones that are showing others the way, and we are here on this Sunday evening to assist you in the integration with the integration that is necessary for you to fully actualize what is occurring. The changes on the Earth are going to occur; it is how you integrate it within your Being and make your life easier. That is the beauty of this pathway as you arise to the occasion of your own essence struggling for openness and sincerity of understanding what it is that you are fully going through. Then you can start to accept the responsibility that is occurring. When it occurs, then there is no responsibility ~ it Just Is. It is part of your pathway and there may be elements on a personal basis. It may be elements in your services ~ in different ways of Being ~ your Mastership Pathway. It is not just about how you share with others and assist others, plus yourself, it is also interaction with those individuals that are the difficult ones. These are the true tests. You must remember when you are in the face of duality in an environmental situation around you, the best process and the adaptability you can acquire is allow yourself to fully infiltrate your highest essence within you. As you do that, you are acquiring exactly what you need in the moment. It is when you allow your lower self to take and the fear and panic, or the expression of the old essence that was you to filter in for awhile which may only be a moment, but you must allow yourself to have that power fully within you. As you have that power within, the acknowledgement that is occurring will allow you to fully accept your pathway that has been written for you for eons of time and now you are bringing forth that adaptability and the change within you to change what was wrong before. You will see no other way but the purity of your Heart and the essence of completeness within you. Each of you is going to be faced in different ways of the challenges. You are coming into a new phase, every one of you, since this last full moon. Each full moon will be getting more intense as we are moving into the Solstice in June. You will see a complete new definition of your life be fully acquired and this is the beauty of each of you. Let us now take a deep breath as we allow the essence of your Being to fully come within you. Feel your Higher Self be fully activated; if He or She is not within your Physical body at this time, let’s bring that energy within you as we bring the centeredness to fully come into your Heart, your Thymus and your Solar Plexus. LET’S KNOW FAKE IT. We are going to fake that your physical body is already a 5th dimensional frequency; some of you may already have acquired this and some of you probably have not ~ or you are feeling little bits of pieces of it. So let’s visualize the Platinum Ray fully within your Being into your Crown. 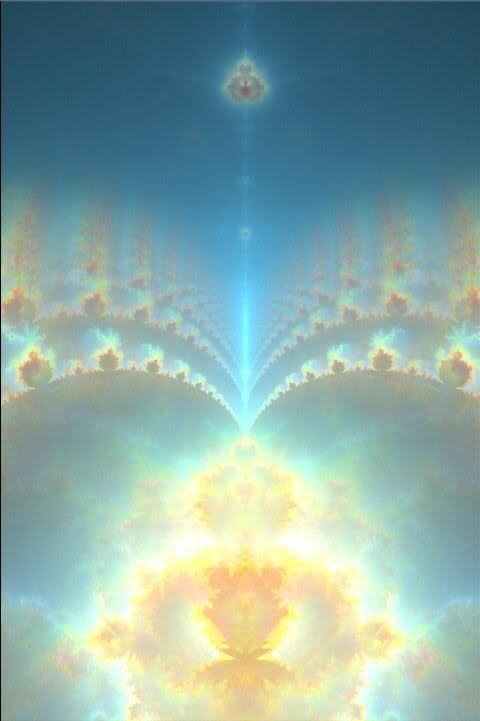 As the Platinum Ray flows through you, it activates all the other rays and the chakras that are part of those energies ~ the Violet Gold ~ the Blue-God ~ the Lavender ~ Pearlescent ~ the Seafoam Green ~ the Deep Pink ~ the Deep Blue ~Golden Yellow ~ Crystalline with sparkles of Green and Gold ~ particles of Orange ~Cherry Red ~ Magenta ~ all different colors flowing through your entire Being. The Platinum Ray is the deepest one that is going to blend all of them together. Feel that essence of the energy come into your Crown and go through your chakra column as your Central Canal has now been open wider than the Axiatonal Alignment exercise. It now just filters through you down to your Thymus, your Heart, and your Solar Plexus. Allow those three chakras to blend as one chakra and then the deeper energies into your limbs, into your feet, and into your Earth Star. Feel your Light Body. As we activate the Light Body, the elements within of the cellular structure is going to be activated on the highest frequency that is available for you to bring it within your vehicle. So just sit back and receive. It is now time for you to fully accept your Divinity as you have never experienced previously. We are asking for any lower energies, any ill thoughts that do not serve your Highest Purpose to be infiltrated with these rays of the Platinum and the Gold, with all colors, many colors and no colors. Feel that deeply within you especially within your Solar Plexus, your Heart, and your Thymus. Feel a warmth occurring for you as you have fully activated the ability within you to Accept. Deeply Breathe into the Heart, Thymus and Solar Plexus and feel the deepness of the essence of your Higher Self fully activated within you. As you allow that to occur, you feel a difference; you feel the ability to stand up to your responsibility without any influctuation or rejection of any thoughts or feelings of lower energies. It is your power; it is your inner power being fully activated in a beautiful way. I will now step aside as the Divine Mother and Divine Father God come through and assist you in this process of your activation. Allow the vibration to run through; allow yourself to express your Highest Essence within your Physical Being. There is no other expression in this moment except your special vibration. Each of you has your essence of vibration. Find that within you Now…..Ahhhh….Aahhhh….Ahhhh…Ahhhhh. We give you the Strength ~ We give you your Inner Power ~ We give you the Essence that is Yours. Breathe It In…..Allow it to flow…..It is yours to incorporate within you. Feel it deeply ~ Feel that Essence go through your Being ~ Feel it into all aspects of your Light. Allow it to permeate into every cell, muscle, and structure of the physical body. You have gone through a tremendous change in this last week. This Wesak was a most powerful event; each of you accelerated through four levels within your initiations ~ congratulations ~ You are fully accepting the Divinity that has been awaiting your arrival. Let it blend for you ~ Let it blend for you. As you relax with this vibration within you, now let us just say some words of expression from our Hearts to you. The power of this moment is beyond the comprehension of your mind so please do not try and analyze it. We want you to just feel this moment ~ we want you to just feel the expression of the Light that you are. We want you to feel the essence and the compatibility that you have with your Highest Self as He/She is fully integrating now. Feel their sparkles of Light ~ feel their Power ~ feel their Essence fully coming through your entire physical being. Allow yourself to embrace this because as you embrace, it will allow yourself to become more empowered and more strengthened ~ allow you to understand the capacity to tap into the Will and the Heart of God that is your Will and your Heart as we all become One in this moment. There is no other moment that is as important as this moment in time. The gifts that you have been receiving in the last week through the interactions that Meleriessee has brought through are your gifts, your activations. She is just the spokesperson to allow the frequency to come through. You are the facilitator of your own Beingness. You allow these frequencies to come through you because it is time. You are ready ~ you are tired of doing things the way you have been doing them. Now is the time to fully incorporate the highest essence within you and within that highest essence, there is knowledge, there is wisdom, there are facts you have forgotten about, there are processes that you have locked away ~ The box is now being opened and within that box is the magic of your Beinginess. It is all the aspects that you have been searching for. So allow us to now give you this vibration for you to accept what it is you need to do. As you move through these steps within your initiation process, the responsibilities, as discussed, will become stronger. You fully are incorporating different levels than you ever have before. Within that you take on the frequency that you are a master and within that mastership, there are great responsibilities just as when you are at a job ~ you have responsibilities to perform tasks. Personally right now you have inner tasks to actualize this and allow the vibration to be within you as this is our first element to give you that responsibility. Let us not worry about what you are doing with others in the outside world in this moment. I want you now to infiltrate this in the next few days. What is it that you need the most? Stop the analyzation of your mind ~ that is your lower mind. All you need to do is receive the vibration. You have already figured everything out on the Higher Self level. You may not realize on this level in your physical body but you will. Your dreams are going to become more active, your meditations will be more flowing, and your intuitiveness on the daily basis is going to be a power house beyond belief. So within this frequency of energy, you are acknowledging a new self within you. The old is being removed ~ You are being hatched out of the old embryo of what you thought you were supposed to be and now you are acknowledging the ‘newness’ that is you. Embrace this vibration now ~ Embrace this Light as we allow the creativity to flow through you. Allow us now to bring this in the frequency of your Light emanating your love because you are ready. You Are Ready. The world is asking for you. This Earth is asking for you to accept these responsibilities just as Gaia is accepting her own responsibility within her being to change. Each of you is fully ready now to allow those changes to occur within you. If you weren’t, you would not be listening to her right now. Allow this vibration coming through to fully accept what you should be doing. Let us not think about what you are going to be doing on the outside world, because it is going to happen so quickly. It is going to happen within the next 30-60 days. You will see ~ you will see. Elements are going to change for you in unbelievable ways. But you must BELIEVE ~ You Must Believe that it is so. If you do not believe, then it cannot occur. The magic is within You. You have the Sparkles of Light ~ you have the frequencies. We give you all the tools. Now all you need to do is just Accept It. So let’s just take this moment and we ask Meleriessee to use the Creativity Bowl again as we allow this frequency to run through your Being in the next few moments. Now you have fully infiltrated your Body of Light. Allow that frequency to be fully within you. We now give you one last activation. We, of the Divine Mother and Divine Father God of the Cosmic Great Central Sun, command that every individual that is part of these energies at any time now or in the future, fully actualize within them with their dream state, their meditation, and their daily interaction of intuitive self to fully actualize these vibrations fully within their Being and their moments of reflection ~Moments of Remembrance to bring it forth into their essence within a three-day period. We ask this to occur for each individual. We ask these activations to come forward. You will have the moments “Yes, this is what it is. Now I understand what I am doing. Yes, I am ready. I take on the responsibility and allow it to be fully within my Being, my full capacity, in this physical vehicle that I am inhabiting upon this Earth in 2011, in this month of May, June or whatever month I am listening. I fully allow these frequencies to come through me in this next three-day period to actualize the elements that I have tucked away. They are no longer put aside. I am free. I am incorporating ~ I See ~ I Hear ~ I Feel ~ I Write ~ I Share ~ I Am fully actualized in this Being that I Am.” And add the name of your Beingness afterwards. I AM Fully Actualized ~ I AM a Purified Being of Vibrational Light within the Creative Sources to allow these frequencies to be fully within me. Breathe deeply and allow that activation to be put through your entire physical existence ~ through your Physical, Etheric, Emotional, Mental, and your Spiritual bodies as you become the Essence of Completeness. It may not happen immediately. There will be increments of feeling these energies depending on where you are in your consciousness. But actualize these frequencies and listen again and again, and again to help you remember. What we are doing here is allowing your Super-Conscious, the elements of your highest essence to fully activate within your brainwaves, within the thought processes, within the feelings of your Heart. Yes, there will be moments of revelation and it may cause moments of tears. They will not be sad tears; they are going to be a remembrance for you. It is finally here and we allow this to activate for you for the Solstice that is coming up in the next month. It is going to help you create your Divinity upon this Earth within these bodies and to assist you in the processes that you are going through. Relationships are going to get better; feelings with other people are going to get better. Truths will be revealed and darkness will be removed. Just have patience with it, my Dearest Ones. Have the patience that you need and don’t push it. Allow it to occur when it is occurring. If you have any individuals that you know that are in trouble, we will take care of them. Know that the right moment is for you to accept the truth ~for them to accept the truth and we will all shine together. Allow us now to feel the essence of this completeness within each other. That the ones that are hurting; the ones that have turned away from you ~ they will allow themselves to fully open up onto their Divinity and it may not be part of your circle, or part of your own Divinity, but believe me, your prayers will not go unanswered. Let us help you. Don’t take it all on yourself. It is not necessary to do so. Allow us now to take a deep breath and allow these moments of the beauty of your vibration be fully acknowledged within your Being as your vibration is our vibration. And each of us are connecting in the truth of Oneness, and Purity and Light. And the Essence of God’s Will and God’s Heart as we are, Divine Mother and Divine Father always with you incorporating, not just with you but allowing this vibration that we bring forth to you is our vibration so that we can assist you to fully integrate these frequencies within the Oneness that We Are. We are the Divine Mother and the Divine Father God of the Cosmic Great Central Sun blessing every individual. Let us breathe this frequency within ~ allow us to fully incorporate. We are honored to be able to communicate to you in this manner. We have waited for this time for eons and eons and eons, my Dearest Children. Blessings and Love from Us to You and You to Us. This is Lord Sananda once again. These are very powerful moments coming through beyond the capacity of my Mind and my Heart. I had no realization that this would be as deep as it is. The emotions are strong; embrace them. They come to you with the truth and the knowledge that it is our time to shine together. It is an honor to be with you in this moment and all moments we are together in this beautiful circle of Cosmic Oneness.